On this tour you will have two photo instructors. The first being professional photographer and tour guide Eileen McCarney Muldoon, who has traveled the world leading international photography tours. Secondly, Win Kyaw Zan is an accomplished professional photographer who is from Myanmar, and has been leading photo tours there for the last 15 years. All breakfasts and lunches are included in the tour program, Win will provide recommendations for dinners to be taken on your own or enjoy with your Eileen and your fellow tour participants. 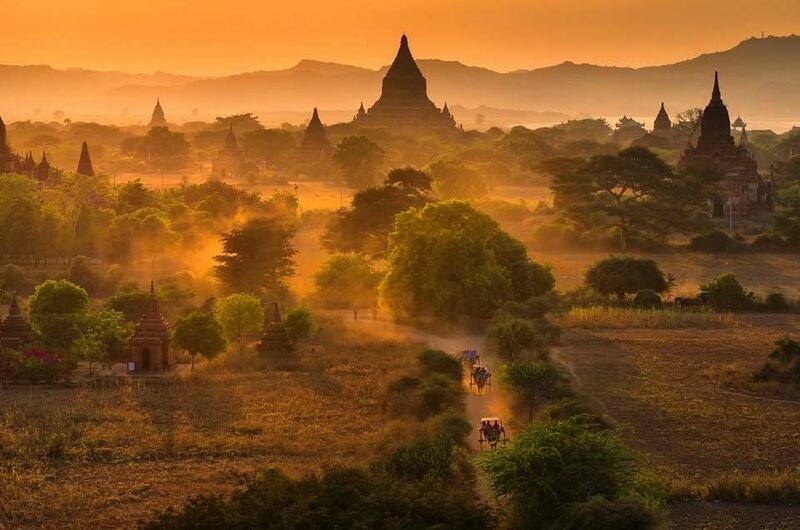 Myanmar (Burma) is a developing country, full of natural beauty with primitive hill tribes, ancient pagodas and temples, silvery beaches, snow-capped mountains and untouched archipelagos. Myanmar’s iconic sights consist of what many refer to as ‘THE BIG FOUR’: Yangon with the Shwedagon Pagoda, British Colonial architecture, street vendors, and monks walking for their morning alms; Bagan with the Irrawaddy River and panoramic temple views from your hot air balloon; Mandalay’s monasteries and U Bein bridge; Inlay with it’s tranquil floating pagoda’s, gardens and local markets. Please join tour leaders, Eileen Muldoon and Win Kyaw Zan on this incredible cultural and photographic opportunity. The emphasis of the trip is on photography, yet this is much more, one that non-photographic travelers can enjoy just as well. While we maintain an active schedule, the pace will provide ample opportunity to explore and photograph villages, pagodas and markets, and it is an amazing journey.